Long Beach Police Department Deputy Chief Michael Beckman is a 27-year veteran of law enforcement. 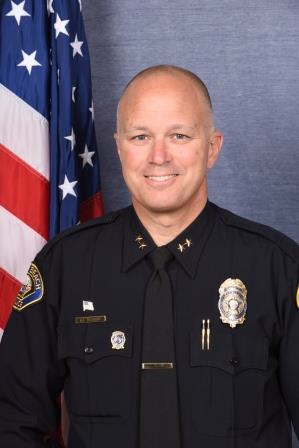 He currently oversees the department’s jail and training operations, Port Police Division, and policing services at the Long Beach Airport, Long Beach City College, Long Beach Transit, and at city marinas and parks. Deputy Chief Beckman has experience addressing the impacts of homelessness, mentally ill persons in the criminal justice system, and at-risk youth. He participates in Los Angeles District Attorney Jackie Lacey’s Criminal Justice Mental Health Project; a countywide effort to provide treatment and services to safely divert mentally ill offenders from county jail. Deputy Chief Beckman is a proud native of Long Beach. He is an R. A. Millikan High School graduate and attended Long Beach City College. He holds a Bachelor of Science degree from California State University, Long Beach, and a Master of Public Administration degree with a concentration in Disaster Management. He is a graduate of the FBI National Academy and the Sherman Block Supervisory Leadership Institute. Deputy Chief Beckman serves as the Immediate Past President of the Long Beach Police Department’s Command Officers’ Association. He is a Charter Member of the Long Beach Police Foundation and a former at-large member of the American Society for Public Administration. He is a member of many professional associations, including the International Association of Chiefs of Police, the NAACP, International Association of Emergency Managers, Concerns of Police Survivors, and supports Special Olympics Southern California and the American Cancer Society’s Relay for Life.